Sometimes lyrical concepts come to me and they seem like such an obviously perfect fit for the kinds of messages I'm trying to express with this new record. 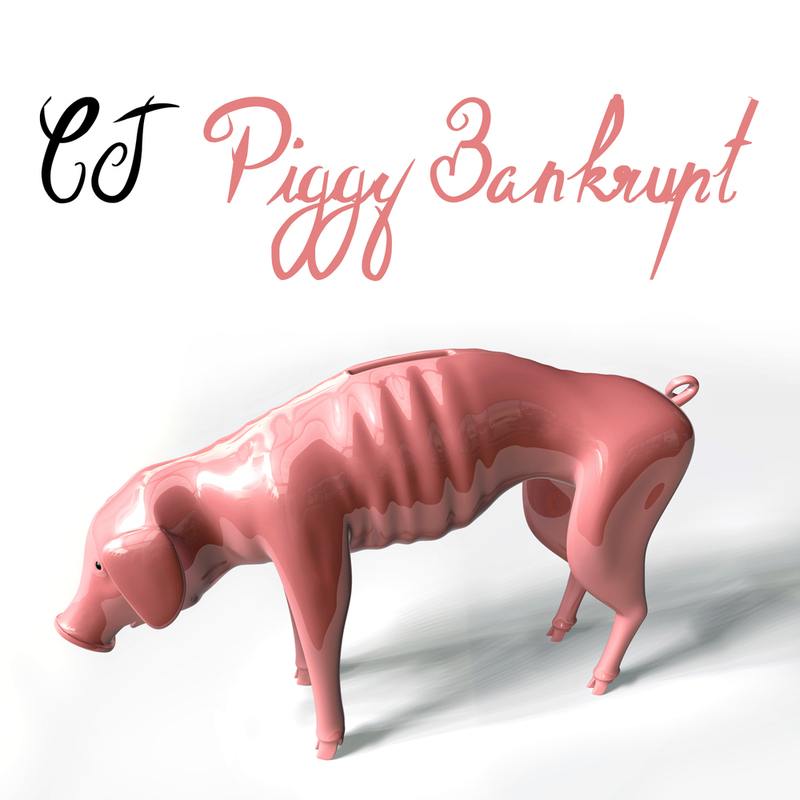 "Piggy Bankrupt" is the latest demo that I've finished and it certainly has feel that I'm looking for in fleshing out the whole vision for "Variety". During the writing process, I found myself exploring different possibilities about a piggy bank which included, breaking it, spending it all, saving, and patience. But, at some point I was transported back mentally to a time when I was a kid and had my very own piggy bank. I can remember adding money to it on rare occasions. But on many more occasions, I can remember thinking there was lots of money in there and that I couldn't wait to spend it. And then inevitably losing self-control and emptying it out, only to find out there was actually very little money compared to what I had imagined. This feeling became the thematic thread for this new song as I tried to convey the excitement, discipline, and disappointment of breaking the piggy bank open.